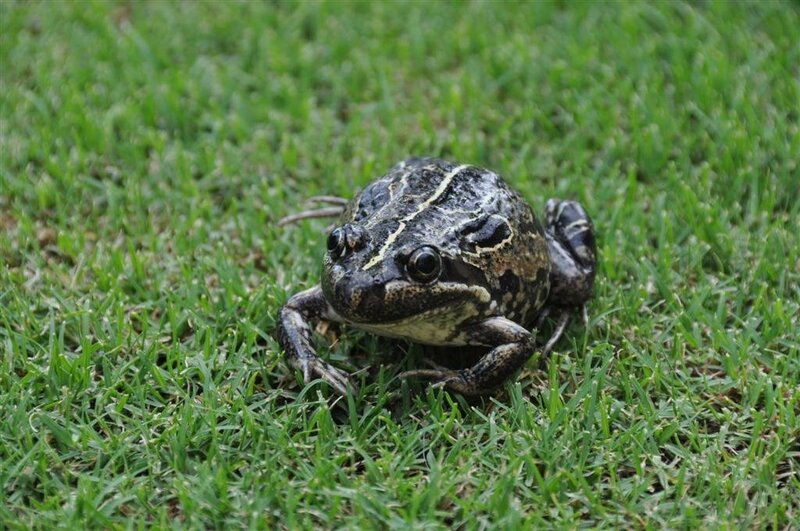 Frogs are incredible animals, and occasionally we get them in the back yard! is that a bull frog? or just an ordinary frog? they scare me though.. a little. Honestly, I’ve got no idea what type of frog it is!